Each one of Aarhus‘ independent bookstores has its own unique and authentic atmosphere but all of them display a great selection of books. Stroll down the page to discover the city’s best independent bookstores and choose the one that fits your taste and needs best. Løve’s Bog og VinCafé has a great collection of new and second-hand books covering a wide range of genres, from poetry and fiction to history and philosophy. 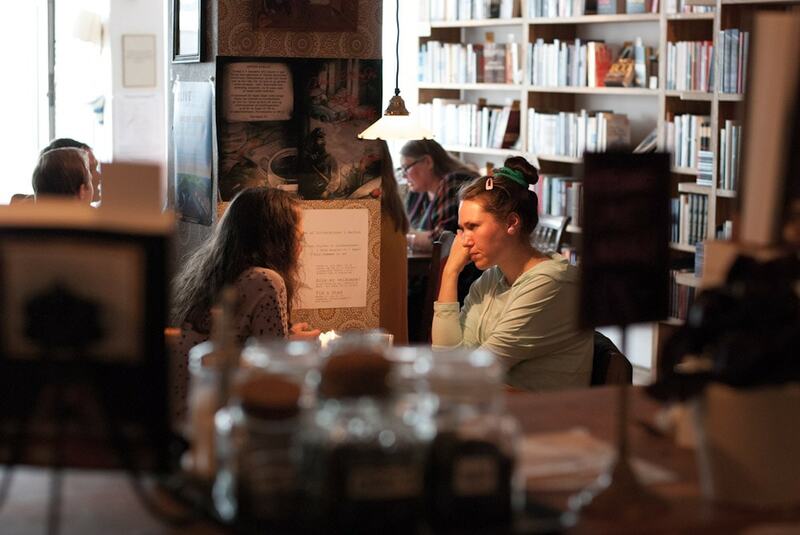 The cozy bookstore-café is located in Aarhus’ city centre, and its relaxed atmosphere, homemade brownies and 130 different kinds of wine have made it a favourite hangout for students. Moreover, the venue also hosts special events such as the ‘open poetic scene,’ and ‘literature day’ attracting the city’s culture buffs. Spartakus was founded in 1975 by a group of communist students. Their goal was to create a place where locals could learn more about culture through books and music. More than 40 years later, Jutland’s oldest communist bookstore still features a great collection of books, CDs and posters attracting all kinds of bookworms. It’s located in the Latin Quarter, so if you’re strolling around this picturesque neighbourhood make sure to stop by and indulge in a warm cup of coffee while discovering the English section. English Bookstore in Aarhus is a real gem for book enthusiasts who love to rummage for hours in piles of books. 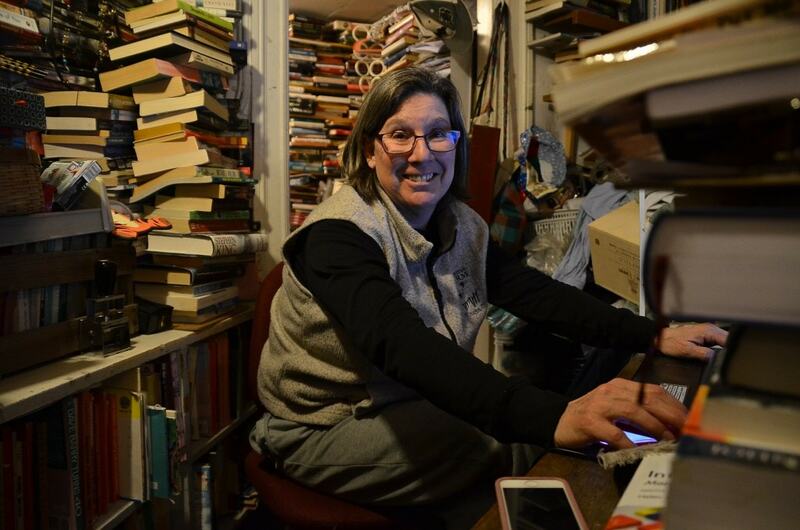 With approximately 250,000 books covering all kinds of genres from classical literature to cookbooks, it may take some time to find what you’re looking for, but the bookstore’s owner Beth is always willing to help. Moreover, the store also sells other kinds of second-hand items like bags, clothes and kitchen utensils. With a special focus on art, literature and cultural theory, Antipyrine Bookstore in Kunsthal Aarhus offers a great collection of books, magazines and publications from around 60 small and larger independent publishers from all over the world. The stylish bookstore opened its doors for the first time in 2013, and each year its collection keeps increasing. The bookstore is also the venue of many presentations, lectures, seminars and book launches (related to Kunsthal’s exhibitions), so make sure to keep an eye out on its Facebook page for upcoming events. 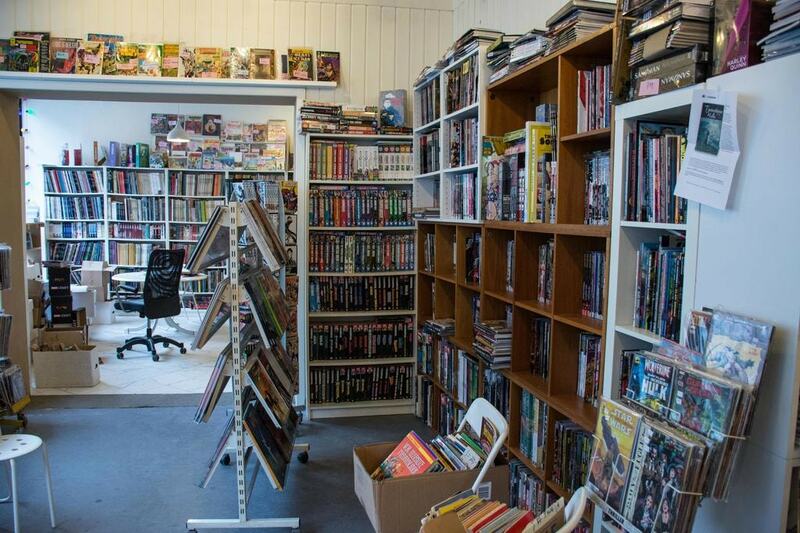 Comic lovers, this bookstore is for you! Stribeladen has a great collection of comics in English and Danish, and once a week the store’s shelves get filled with new arrivals from both America and Denmark. There are dozens of books from every genre, suiting everyone’s taste. From the renowned Marvel and DC heroes to manga, crime noir and graphic novels, Stribeladen has something for every comic fan.